Emails from brands with special offers in their subject lines tend to underperform those without special offers in their subject lines, according to recent research from Yes Lifestyle Marketing. The report was based on data from nearly 8 billion emails sent in 4Q16 by brands in a range of industries. The researchers examined how email subject line performance is affected by six types of offers: Buy one, get X; percent off; dollar amount off; free shipping; free gift; and loyalty incentives (e.g., "Member Exclusive: 10% off"). Some 30% of all email campaigns examined included specific offers in their subject lines; 44% of campaigns sent by retailers included specific offers in their subject lines. 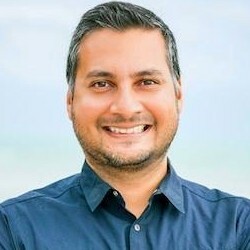 Ayaz Nanji is an independent digital strategist and a co-founder of ICW Content, a marketing agency specializing in content creation for brands and businesses. He is also a research writer for MarketingProfs. He has worked for Google/YouTube, the Travel Channel, AOL, and the New York Times.